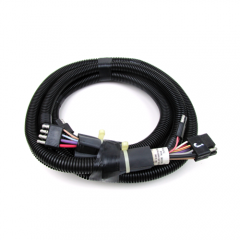 The kit comes complete and ready to install. 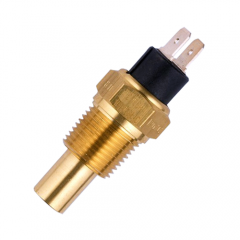 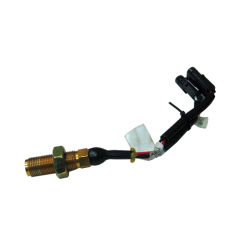 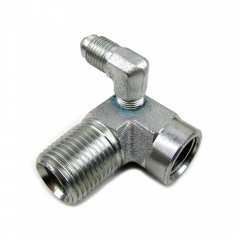 Installation is easy and all parts / fittings required to install are included with the kit. 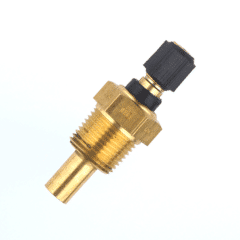 Gauge requires a standard 2 3/16 in. 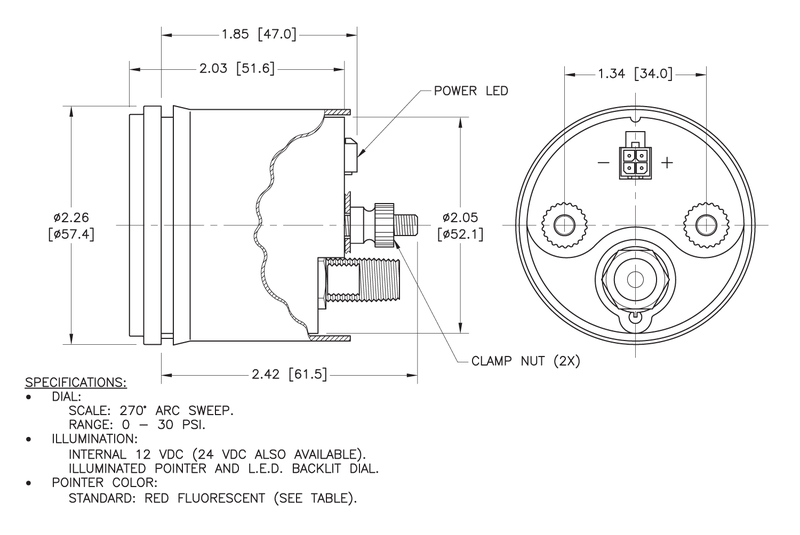 mounting hole. 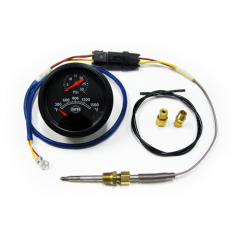 Determine the length of boost pressure tubing that comes with the kit. 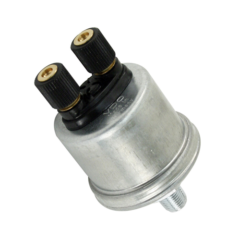 If you are adding boost pressure indication for a Cummins Marine 6CTA 8.3 mechanical engine, we offer an intake manifold boost adapter fitting that makes reading boost easy. 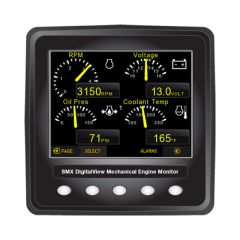 Develop baseline numbers to determine engine health with this Turbo Boost Gauge Kit. 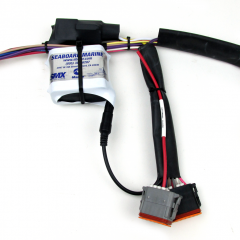 Seaboard Marine has put together a fully-marinized Turbo Boost Gauge kit to meet the demands of the marine high HP per-liter turbocharged & aftercooled engines. 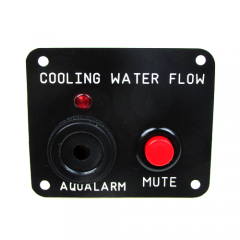 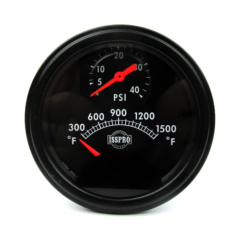 Our gauge is calibrated to 0-30 PSI with a black face, red pointer, and HQ bezel. 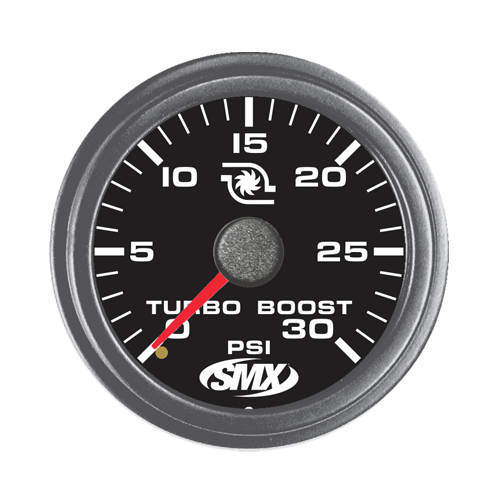 This gauge allows monitoring of engine turbo boost pressure and has a 270 degree sweep and a simple, easy to read dial.